In our small group meetings, we learn and discuss values and attitudes based on the Bible. We also discuss the relevance of the Church in today's society. 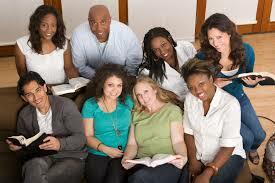 Small group meetings are held every Sunday morning from 10:00AM to 10:30AM before Worship Service.